Someone asked me "are Kryptonite locks good?" the other day. I wasn't sure so did a bit of research and put it all together. If you're in a hurry the answer is - Kryptonite locks could be worse... but they could be better. However, all locks can be broken, you should see them as deterrents that buy you time more than anything else. I wrote a guide on the best lock under $50 recently. Click here to check it out. If you live and work in the city, chances are you own a bike as an alternate means of transportation, and if you don’t you should, sitting in constant gridlock traffic is no way to live your life. If you do own a bike you can’t just leave it sitting outside unsecured (unless you don’t mind “your” bike becoming “someone else’s” bike). Keeping your bike locked up is the single best way to protect your investment, and Kryptonite came up with a s﻿﻿﻿olution back in 1971. Kryptonite might be able to stop Superman, but can it stop the common thief? But are these locks any good? Well, there has been a story told throughout the years, that illustrates just how good they may be. Legend has it that in the early days of the Kryptonite lock one brave man locked his bike up to a stop sign for 30 days and 30 nights in New York City. By the end of it, his bike was still there. Well... minus all the removable parts, but the frame attached to the lock remained. 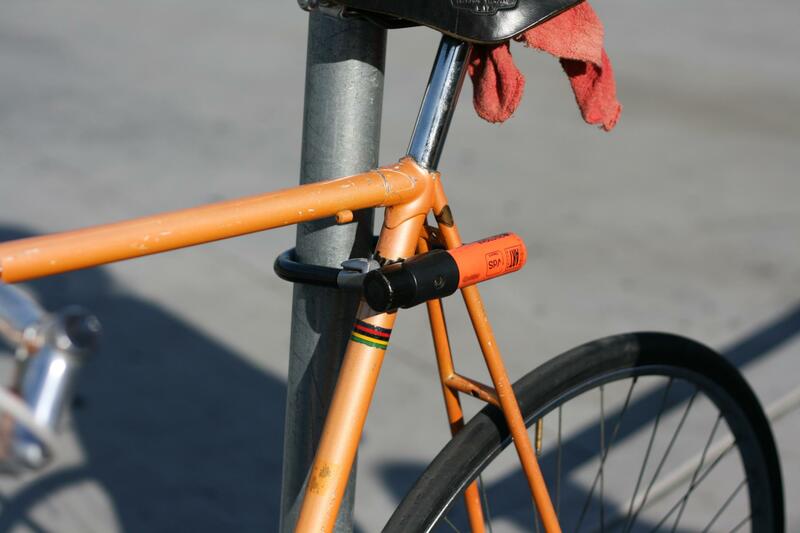 It says, yes, these locks are capable of keeping your bike safe from people looking to poach it. But let’s take a moment to examine what “actually” makes a bike lock useful. Ease of use: A lock that takes too many steps to secure, or is too confusing to secure properly might not be ideal for someone who's always on the go. 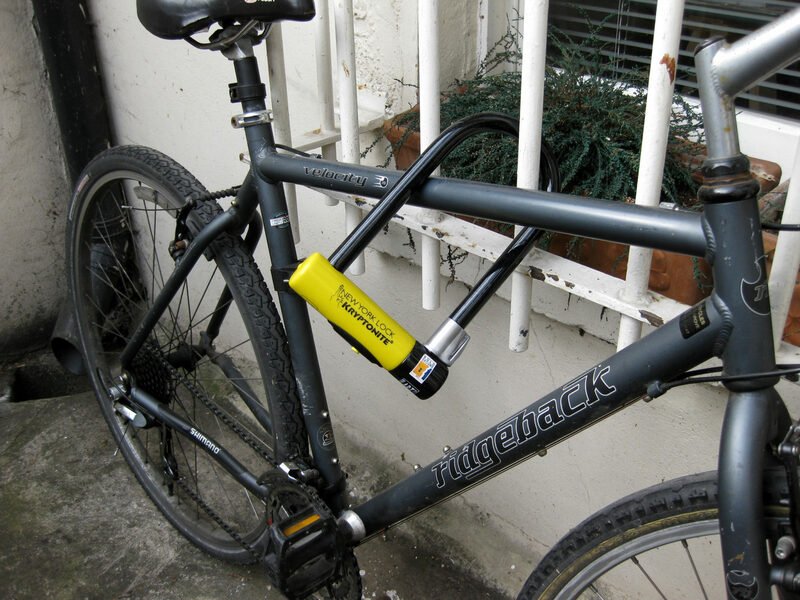 you just place your bike next to a sturdy object and connect the lock around it and your bike. Portability: If the lock is too big to lug around the city with you, then you're less likely to use it. Again, the Kryptonite fares well in this category. They've made "mini" versions, so you won’t have an issue keeping it attached to your bike, even while riding it. Value: This one should be self-explanatory. Nobody wants to spend 50 dollars on a lock that can be broken or picked without much hassle. If there's going to be a category where Kryptonite can improve, it's going to be in this category. You may recall a fiasco from several years back that plagued the Kryptonite locks when it was discovered that you could use a BIC pen to pick the locks. They have since moved on to flat keys instead of what they were using previously. However, I've seen complaints that some of the locks steel is somewhat soft (I should note that this is one of the lower end models having these complaints). Kryptonite's struggle with U-Lock integrity. 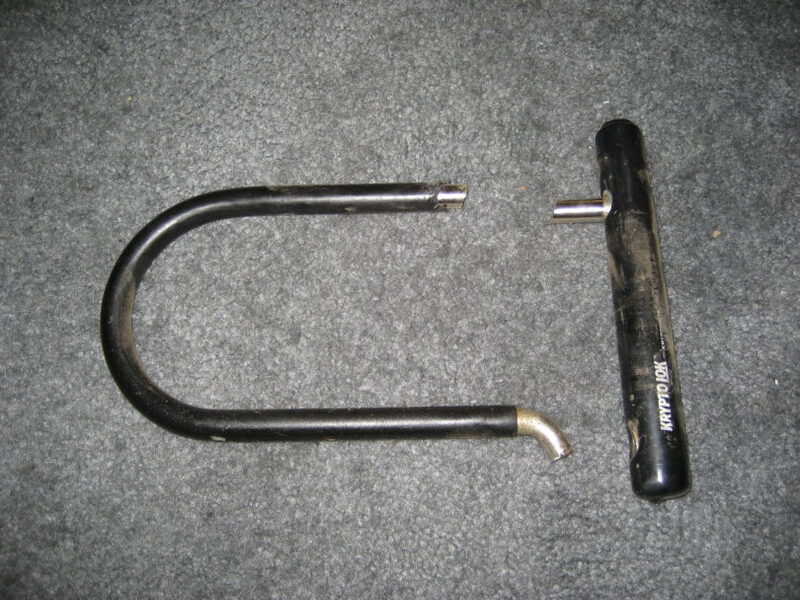 Lately, U-locks have been under more attack. Resourceful thieves have found a way to modify car jacks to be able to get between the U-bar. When the jack is between the U-bar they simply operate it until the lock explodes from the pressure applied by the jack. There are even instances where a kryptonite spokesperson has acknowledged the issues that they've been having with their locks being broken. “Regarding these specific types of thefts and the manner in which these locks have been defeated, it looks like a leverage/twist attack done by some sort of a crowbar or pipe.... A twist attack, where a thief looks for a way to get a tool into the U-portion of the lock, is one of the more common ways we see thieves try and attack our locks” - Kryptonite spokesperson. So it seems that, maybe, U-locks aren’t still as useful as I thought they were to begin with. But that is par for the course really; it isn’t unreasonable that technology from the 1970’s is now able to be breached. Does that mean that Kryptonite locks are no longer any good? In short, the answer is no. It does not mean that. Kryptonite locks haven’t simply rested on their laurels, expecting an invention from forty plus years ago to remain the standard which all locks were measured by. In 1994 Kryptonite was issued a challenge by the New York Post. The challenge was simple, can your lock withstand 48 hours in the bike theft capital of the world (100,000 stolen bikes each year). Wouldn’t you know it, their newest lock (New York ﻿Lock﻿) passed the test. The only thing that was taken from the bike was the gear derailleur. Apparently, that wasn’t enough for the head of the company. Zane wanted to put it through more rigorous testing. Zane took the bike to Soho for six days and then to the Lincoln Center, each time they came back, the bike was still there. Remember that whole U-Lock being broken by a pen dilemma? Well, Kryptonite solved that by issuing lock exchanges to everybody who wanted one, swapping out the compromised U-Locks with another stronger type of lock. 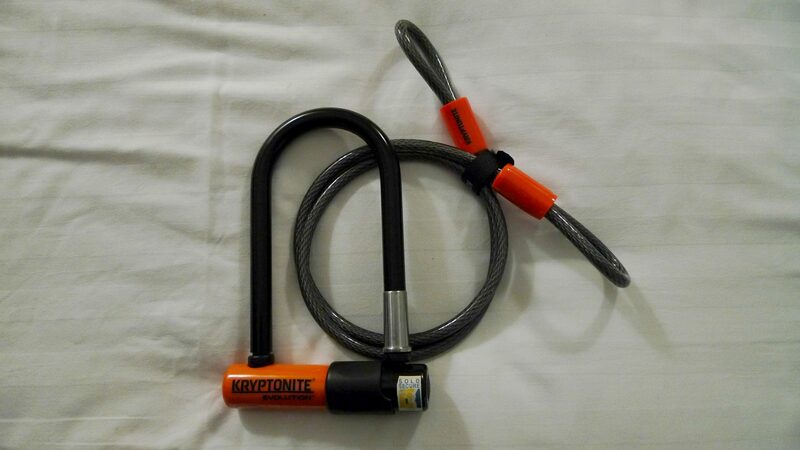 It's not often that a company stands behind their product in the way the Kryptonite stands behind its product, for that reason alone I would say this is a top company to purchase your bicycle lock from. As said at the start of the article, no lock is safe from being broken with someone who has the right tools​. A lock is mearly an item that buys you time. The better the lock, the more time it'll buy you. So comparing this lock to the many others out there. When you combine the strength of their new products, the simplicity of their designs and the overall value you get from the company the answer is clear.